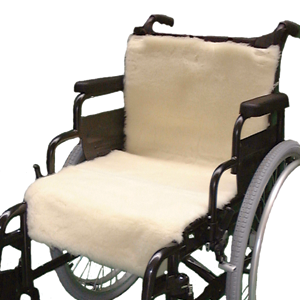 This fleece will provide comfort to those who spend long periods of time sat in chairs. This fleece will provide comfort to those who spend long periods of time sat in chairs. The natural wool helps prevent pressure sores, absorbs moisture and is warm in winter, cool in summer. It has webbing straps to secure it to the wheelchair.